Review: Reacticon – Power to the front-end developers! Ever since Magento announced their PWA (Progressive Web App) Studio and PWA solutions like Deity started gaining traction, people were more than eager to learn more about how PWA would affect Magento platform and the world of eCommerce in general. Reacticon sought to provide some more in depth information about technologies that will become integral part of our workflow in the near future. My colleague, Filip Svetličić, and I arrived in Amsterdam two days before the conference in order to have the time for sightseeing in Amsterdam and Eindhoven. 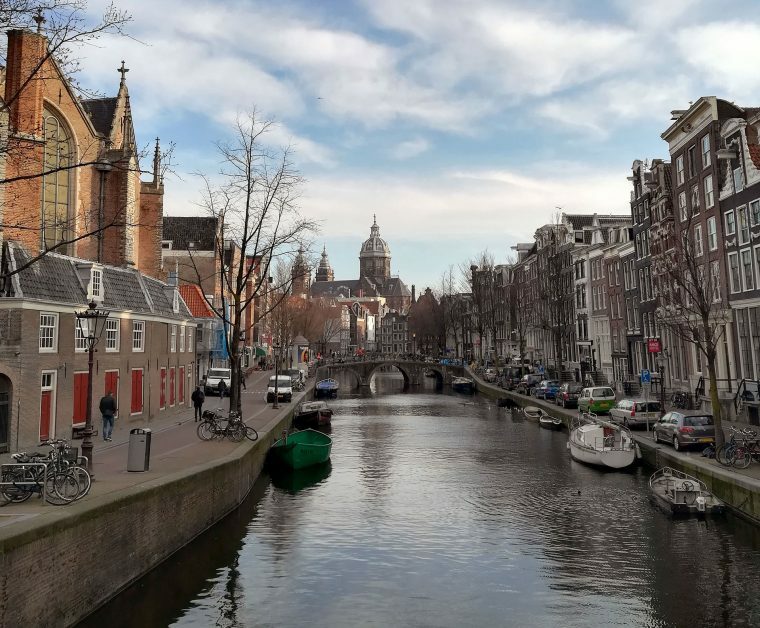 One cannot simply travel to Netherlands without visiting Amsterdam and experience the unique atmosphere and attractions that the city has to offer. We also managed to do some sightseeing the next day before boarding the train for Eindhoven in the afternoon. We have arrived in Eindhoven early in the evening and we have met with Reacticon organizers and some of the attendees for drink later in the evening. Warning. The following event might change your perspective on Magento frontend development dramatically. Discretion is advised. After that, Jisse Reitsma (Founder of Yireo, who are also the organizers) took the stage and enthusiastically informed us that this event will have a different format – more time will be dedicated to questions and discussion after each presentation and that the atmosphere would be even more relaxed than usual. We were pleasantly surprised due to the fact that we would get to hear more about the upcoming Magento PWA studio. James Zetlen has introduced us to how Magento PWA Studio came to be, what was the general idea behind it and showed us some code snippets as examples of the workflow we might expect to see in Magento PWA Studio. The audience quickly adapted to the format of the event and were more than happy to ask questions and share their concerns regarding the Magento PWA Studio. Jisse Reitsma returned to the stage to talk about Service Worker Strategies which gave us a great overview of various options and best practices in implementing Service Workers. Service Workers are an integral part of the PWA and Jisse’s presentation was a great introduction to the PWA concept overall. After Shane’s presentation, Jamie Maria and Michal Wujas gave us an introduction to Deity and informed us that the Mirror Client is available for all to set up and play around with. Mirror Client was intended to be a quick demo of the development workflow. They also introduced us to the GraphQL which both Deity and Magento PWA Studio use. Bartek Igielski of Snowdog introduced us to the concepts of state management in PWA, gave us an overview of Redux and Vuex technologies and compared them. We eagerly awaited the final presentation in which Andrew Levine talked about Magento PWA studio in more detail and gave us additional information on the new PWA workflow. Andrew also talked more about Peregrine and its role as a “reference theme” to replace the concept of base themes in Magento. Final point on the conference agenda was Q&A where all speakers took the stage and audience was free to discuss and ask questions to all speakers. The conference was closed with the party where everyone could relax and talk. Hackaton was held in Deity’s (temporary) offices. The atmosphere was even more relaxed there and everyone could play around with React, Deity and GraphQL and work on their apps. We also had even more time to meet and talk to speakers from the previous day, hosts and other attendees. Later in the afternoon, Michal Wujas from Deity held a live coding session of working with GraphQL and James Zelten held a live demo of Magento Studio PWA workflow and their upcoming PWA theme. All in all, we have very much enjoyed the conference and hackaton. We were glad we had some much time to meet and discuss with speakers and fellow attendees. Reacticon gave us a better picture of exciting features and changes we could expect in world of Magento and eCommerce. We would like to thank Jisse, Yireo, Jamie and Deity for organizing and hosting the conference. We would also like to thank them for the warm welcome and being great hosts in general. We are definitely looking forward to the next Reacticon and even more interesting topics and discussions. We only hope for a warmer weather for the next time. As Ben Marks said on Twitter: “Eindhoven… really sounds like – I’m frozen”. Certified Magento frontend developer, sci-fi book enthusiast, avid fan of rock and metal music and an aspiring air pistol marksman.